Home > Mutual Funds > ULIP Verses Mutual Fund: How HDFC Life is misguiding YOU ! 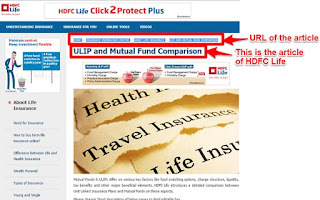 ULIP Verses Mutual Fund: How HDFC Life is misguiding YOU ! Do you know the difference between ULIPs Vs Mutual Funds? Well, recently I came across a new knowledge sharing information from HDFC Life. 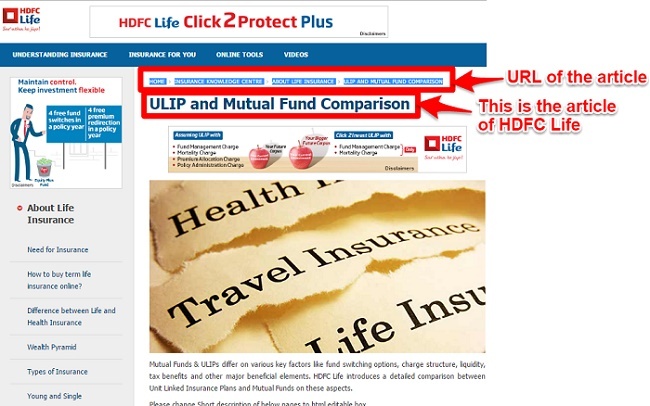 If you need a proof of what I am saying, then visit this HDFC Life’s link of “ULIP and Mutual Fund Comparison“. In this detailed comparison, I found few new comparisons. Which truly defend that between ULIPs Vs Mutual Funds, ULIPs are BEST products.